The Bullpup Parents Group is for every parent and guardian at Thurgood Marshall! No signup is needed. WHAT is the Bullpup Parents Group? An informal, online and in-person social group with the purpose of sharing ideas, thoughts, and issues pertaining to our children’s school experience. WHY a Bullpup Parents Group? 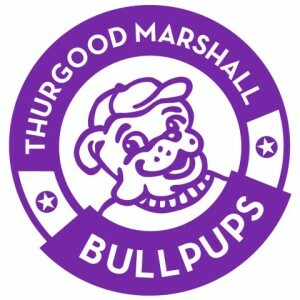 In a school as large and diverse as Thurgood Marshall, the Bullpup Parents Group offers a way to get to know TM families not connected with your child’s classroom. You might want more opportunities to socialize or you might not be able to attend PTA meetings. Bullpup Parents lets you stay connected to the school and other families in a more informal way. In case you haven’t been introduced: The Bullpup is the Thurgood Marshall mascot, the puppy to Garfield High School’s Bulldogs. They are dogs with discipline, perseverance, and the ability to work together!